Designers and manufacturers of kitchen workstation furniture. Patented, U.L.-listed furniture conceals appliances in efficient designs. 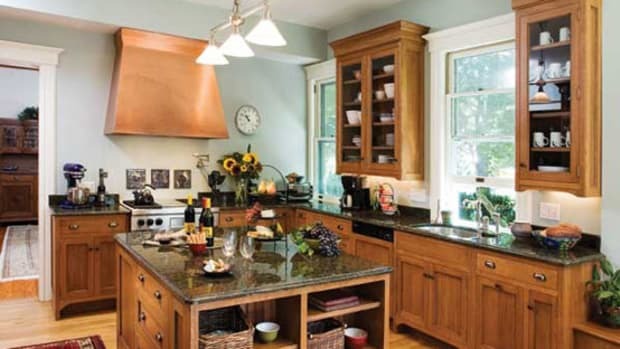 Custom kitchen cabinetry featuring period details in Victorian, Arts & Crafts, and Early American styles. Traditional inset cabinetry. All designs are custom made to fit your vision and space. Cabinets for kitchen, bath, and other rooms. Period-inspired styles include Shaker and Craftsman. Finish options include milk paint. Large selection of kitchen and bath cabinets that feature ingenious organization solutions for your home. 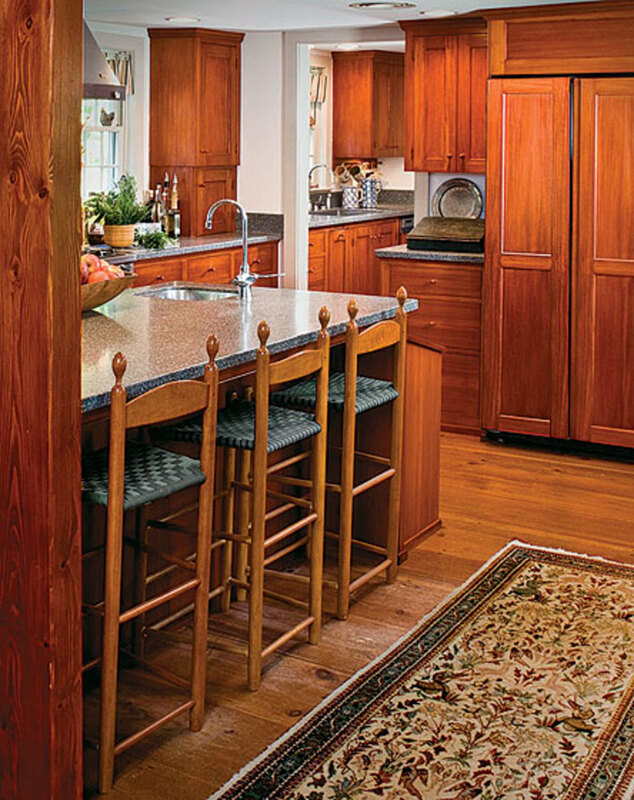 Their craftsmen work in quartersawn red oak to bring a timeless design to your kitchen or bath. Mission collections, including an Arts & Crafts-style Kitchen island with frame-and-panel construction. Period-correct medicine chests with intricate inlays in recessed or surface-mount designs. 3450 S. Garrison Chapel Rd. Custom furniture and cabinetmaking for kitchen and bath. 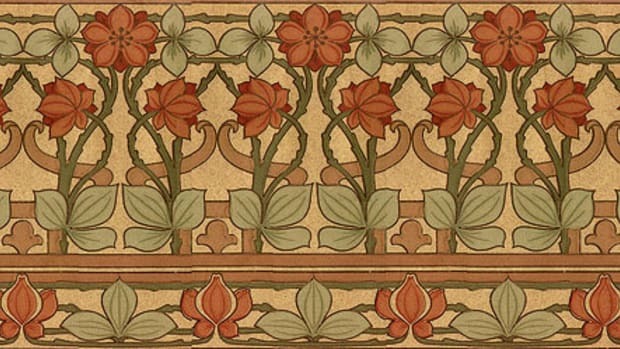 Specializing in late 19th- and early 20th-century design. Also a line of sturdy, colorful kitchen worktables. Rte. 501 & Oak St.
Cabinetry as well as freestanding furniture for any room, from English country to classic American designs, including Shaker. Good-looking, hardworking kitchens: enduring cabinetry and professional kitchen design in traditional styles. Makers of fine handcrafted medicine cabinets. Traditional, recessed, or surface-mount design with beveled mirror and glass shelves. Finished or unfinished. Period and retro appliances. 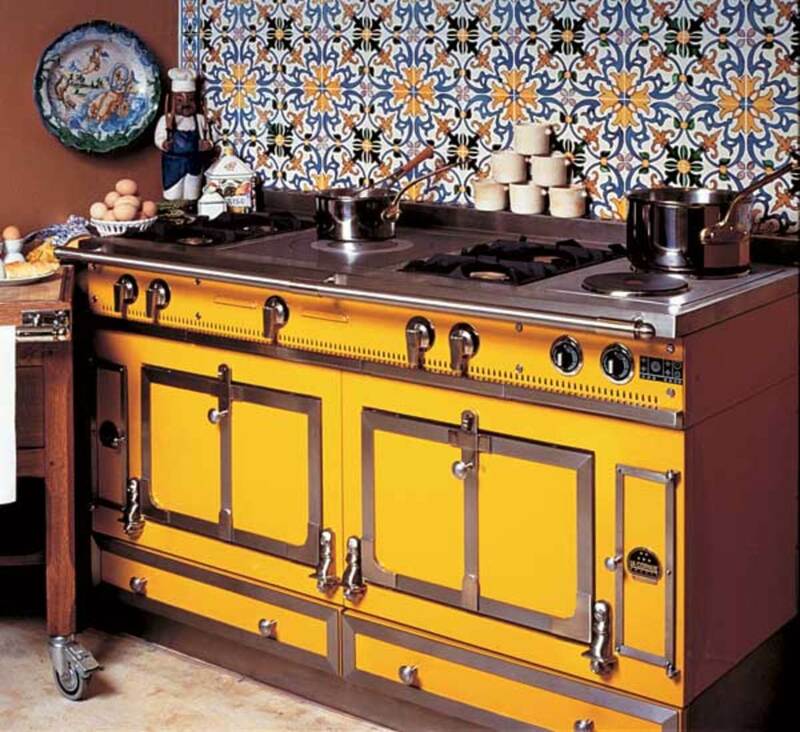 The legendary Aga British cooker is the only radiant heat, multi-function stove in the world. Specializing in restoration of stoves from the ’50s and older, with more than 300 models in stock. They repair, restore, and sell the most popular brands. Restores all makes of antique and vintage refrigerators and stoves, both gas and electric, and maintains a large inventory of restoration-ready appliances for sale. It may look like your mother’s ice box, but the Big Chill offers all of today’s functionality and efficiency. 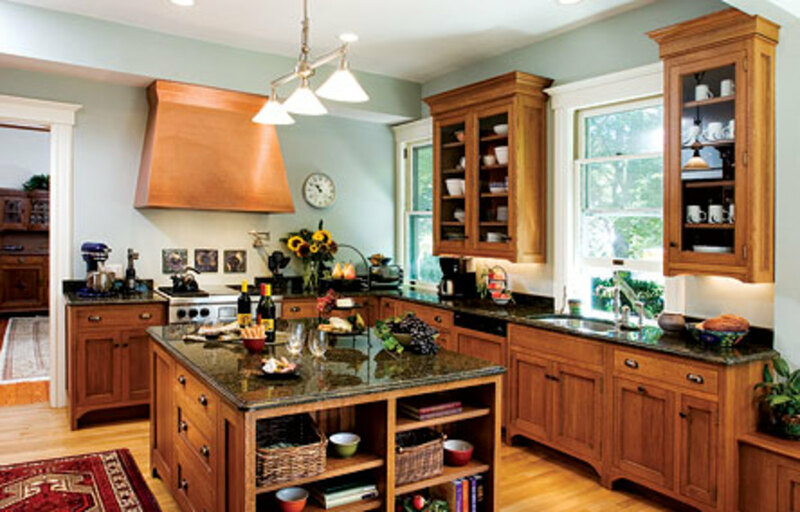 Copper range hoods from Sonoma County, handmade for more than 25 years at the best price. Cast-iron, nickel-trimmed cookstoves with the convenience of the 21st century. Gas or electric. 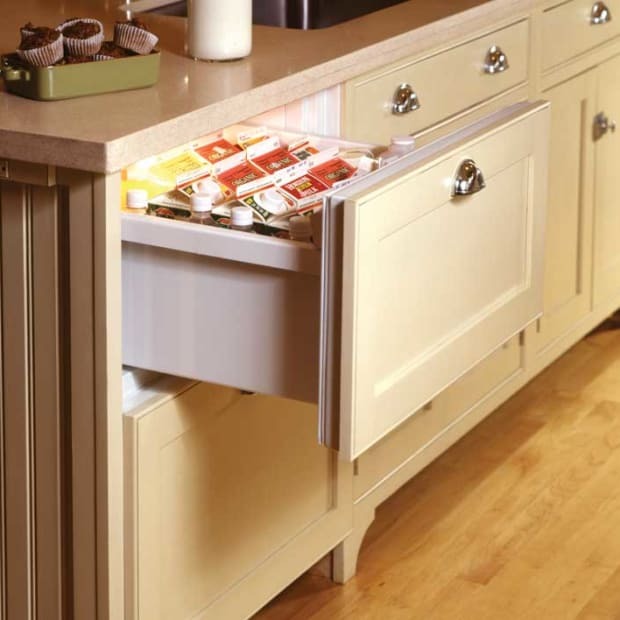 Also offers the Northstar line of Streamline refrigerators in retro colors. 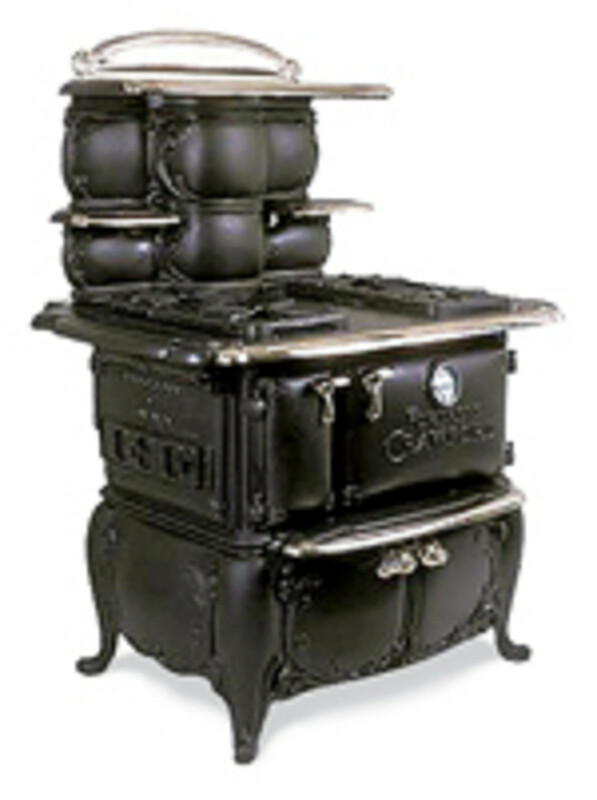 Authentic, antique kitchen ranges and heating stoves, circa 1840–1930. Fully restored and functional. Premium handmade range hoods built by master craftsmen using copper, zinc, brass, iron, and bronze. Their wood-burning DEVA 100 cookstove is made of durable cast iron, with nickel and chrome details, and features a ceramic glass cooktop. Since 1908. Every La Cornue range is built to order and assembled by hand, by one worker, start to finish. Their world-class French ranges have the perfect balance of style and performance. Custom built-in refrigerators, freezers, and wine cabinets. Several products suitable for period retrofits and tight placements. Range hoods made to order, in any design, material, or finish, including copper, brass, stainless steel, or decorator colors. Restores vintage and antique refrigerators, ranges, washers, dryers, small appliances, and vintage electronics, including Victrolas, televisions, and radios. Services include mechanical and cosmetic refurbishing. Exclusive quarriers and fabricators of two rare schist stones unique to the Berkshires, for countertops, trough sinks, and more. 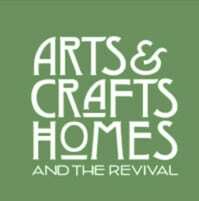 Crafts and installs countertops and sinks for residents of Pennsylvania, New Jersey, and Delaware. Custom sink orders shipped nationwide. Solid wood countertops and butcher block tops with custom edges, inserts, and finish options. 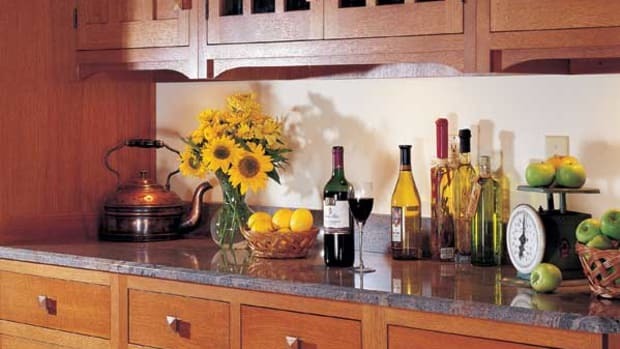 Decorative edge molding for kitchen and bath countertops, including laminate bevel-edge, solid-surface edges, and hardwood edges for laminate countertops. Importers of soapstone. Custom fabrication of countertops, sinks, tiles, and woodstoves. Quarries, fabricates, and supplies Vermont slate. Products include countertops, sinks, wall, and floor tile. Mining and manufacture of slate products: sinks, counters, floor tile, roofing, and monuments. From earth to finished product. Custom work. The standard for sinks, floors, and fireplaces made of soapstone for more than 150 years. Miners, importers, and custom manufacturers. 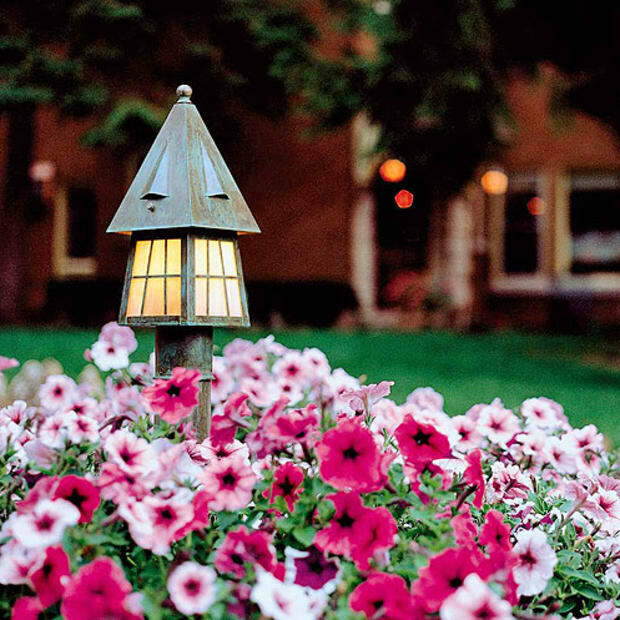 They offer a wide assortment of furniture, plumbing, hardware, appliances, lighting, and decorative accessories. Quality sinks in copper and stainless, plus kitchen and bath faucets and accessories. Shop their online store for sinks, tubs, vessels, and more. Handcrafted copper, stone, mosaic, and wood sinks and vanities from Mexico. Handcrafted, antique-style vanities, custom ceramic sinks, faucets, and one-of-a-kind products created by talented artisans. Unusual kitchen and bath sinks, unique and handmade, featuring hammered copper, mosaics, and solid stone. 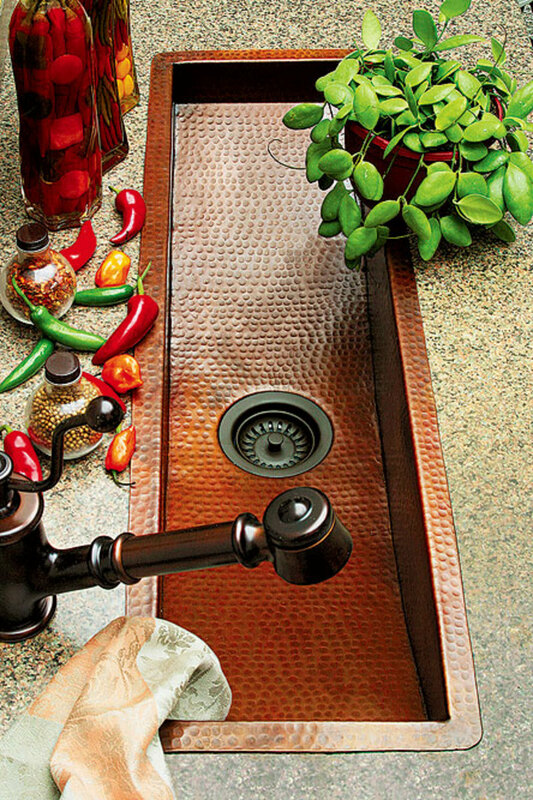 Copper basins of unparalleled quality are hand-hammered, merging function and form. 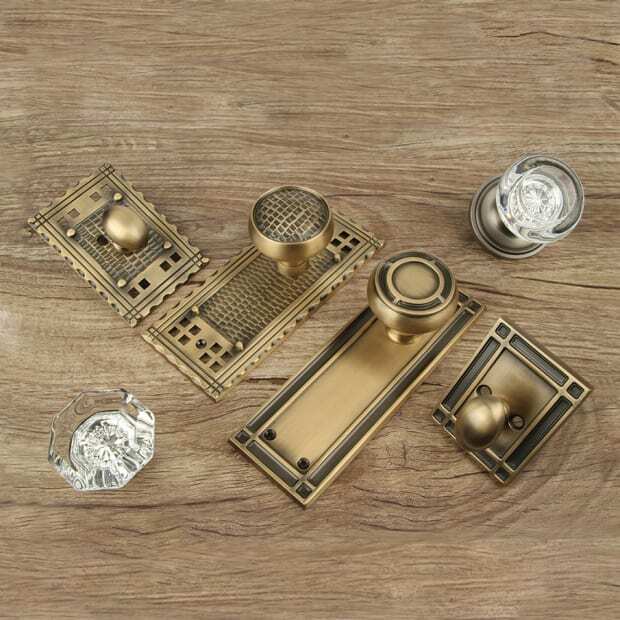 Age-old craftsmanship and modern designs for bath, bar, and kitchen. Custom copper sinks for kitchen, bar, and bath in a wide variety of stock and custom sizes. Individually made by hand from heavy-gauge copper. 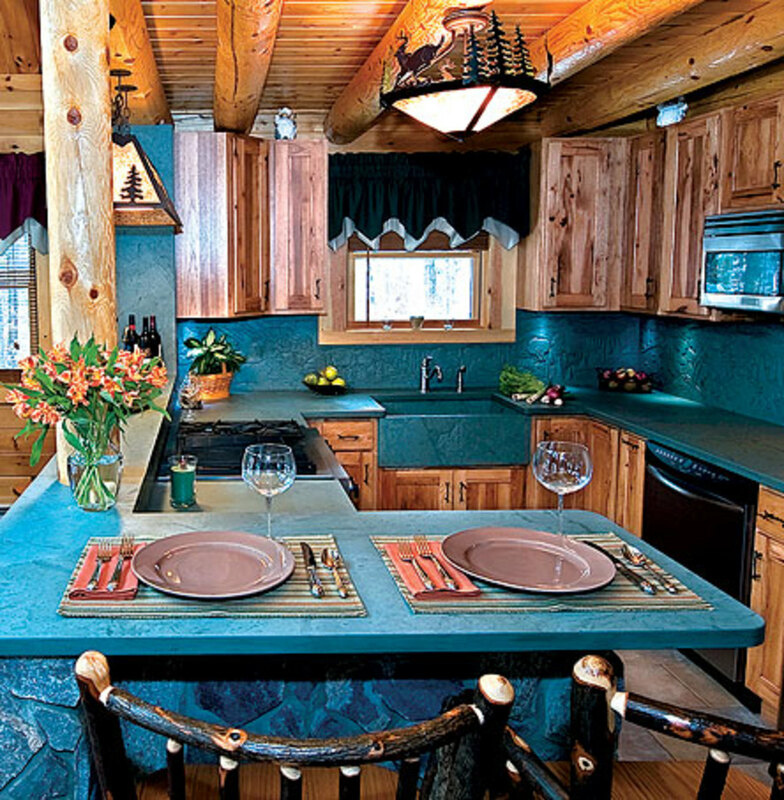 Kitchen and bath sinks are handcrafted from blocks of solid granite. The individual character of the stone and the inspiration of the stone cutter make each piece unique. Give your home period appeal with thousands of items geared toward the vintage home, including copper sinks. Beautiful, functional art sinks for bath and bar created using time-honored craftsmanship. Clawfoot tubs, pedestal sinks, faucets and fittings for bath and kitchen. Also, door and cabinet knobs, and lavatory accessories. True luxury is never a commodity. They make faucets that don’t come back for people who do. Premium products for kitchen and bar areas, including stainless steel sinks, composite sinks, bar sinks, kitchen and bar faucets, and decorative and custom accessories. Maker of high-grade kitchen and bath faucets. Their solid brass interchangeable components feature a lifetime warranty. 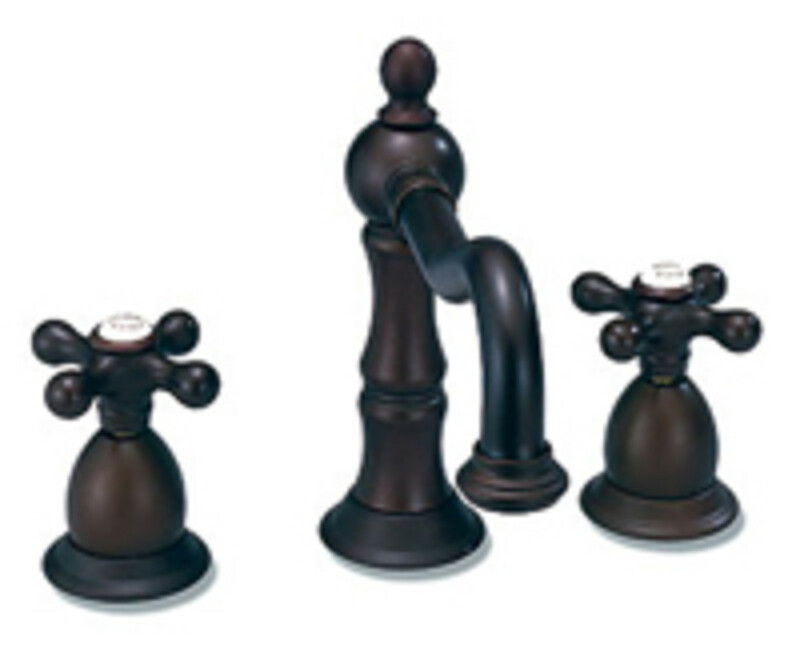 European-designed kitchen and bath faucets and shower products. Distinctive bath and kitchen collections as well as the Perrin & Rowe line of faucets, plus shower and bath fittings and accessories.